woah, i thought it was a critter! 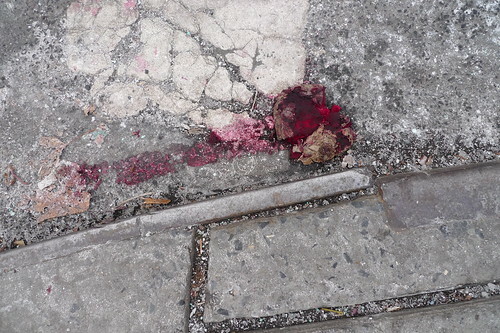 naw, someone let the beet drop. Just put some Latin text on it too and you are good. I'm concerned about what it would do to Abe. it's a fantastic shot! i vote yea! by "too lurid" do you mean "too amazing"?